New design from Mike Lennon - Articulating Toe straps!! These are made from 5 layers of GPL carbon laminate coated in foam and backing cloth. This creates a weight reduction from standard straps we offer. 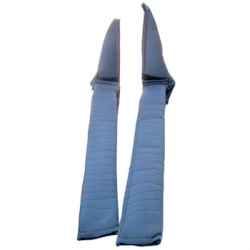 These straps also benefit from enhanced durability due the the use of both sides of the strap. 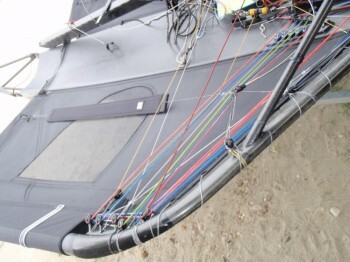 The focus of the spinning strap was to allow the sailor to move effortlessly into the hiked position without the need for any other thought other than driving the boat. 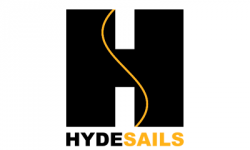 Note: Hyde Sails do not supply Dyneema attachment.